The association “Bio Chef Global Spirit”, chaired by Paolo Sari (the only certified organic Michelin Starred Chef in the world) through the “Route du Goût” is celebrating organic food, ecology, health and well-being, youth and sport for a noble cause. This will be the first ever Organic Festival over four days, in Monaco (12th to 16th October). The event will be held in the port of Monaco and is free to access by all. This festival will be bringing together on the Quai Antoine 1er, the main actors and promoters of the organic and ecological world of the Principality. Many different educational activities on renewable energy, different good practices to protect the planet as well as cooking demonstrations on healthy and organic food are scheduled on these days. On the other hand, ecological inventions competitions and culinary demonstration of Great Chefs are open to the participation of children and their parents. There will also be a tennis tournament for children (over 2 days), at the Monte Carlo Country Club to complete the program. Tradition, glamour and fashion (such as three organic Gala dinners signed by Chef Paolo Sari in collaboration with worldwide Chefs and held in the most beautiful historical places of the Principality), will punctuate various moments over the course of the festival. An ocean parade from Monaco to Cannes on board 10 Riva boats, accompanied by 10 Michelin starred Chefs will be dedicated to “artisans of the sea”. The Association will present for the first time, its innovative projects: the sun-power kitchen and Moses.Bio® (an energy self-sufficient floating organic garden). All funds raised by the Association will be used to for the construction of an organic hotel school in Ambavanankarana in Madagascar and ensure for the first time a higher education and training to young disinherited Malagasy. Also through the projects Moses.Bio® and Orto® (Organic Garden), the association guarantees the technical and financial support for developing ecological practices and organic agriculture in the region. 19h45 Press Conference – Presentation of sponsors and participants. 8h00 – 10h00 Set up of the organic market with stalls of different organic producers and winemakers. 10h00 – 12h00 Visit the Bio Chef’s organic garden with the Hotel School of Monaco, students, parents and teachers. Picking vegetables to prepare the Bio Chef – Hotel School stand. Route du Gout Gala evening: Four hands Dinner. The Bio Chef Paolo Sari invites a well-known Chef to share a moment of high organic gastronomy. The culinary support and the service will be guarantee by the students of the Hotel School of Monaco. Menu will be sold at 150,00 € per person. The amount raised during the evening will be used for the charity project of the association “Bio Chef Global Spirit”. 20h15 Award ceremony for winners of sport competitions. 20h30 Award ceremony for ecological invention of the year. 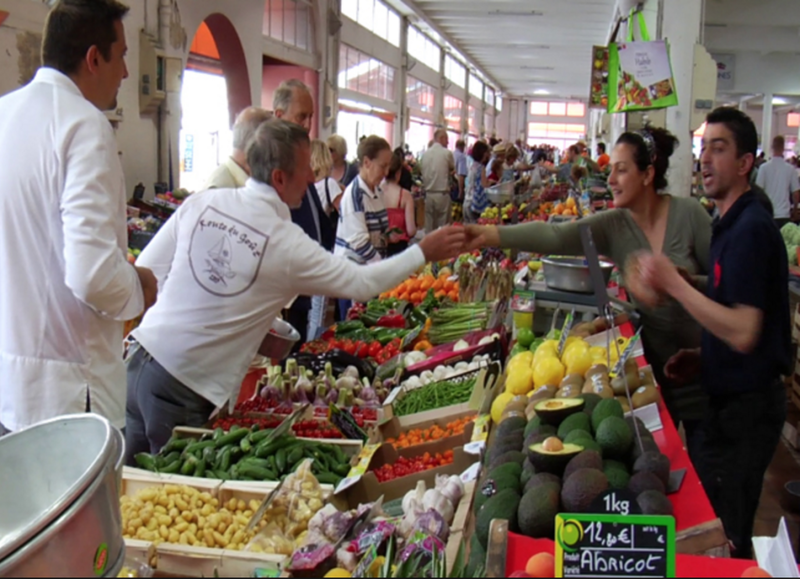 10h00 – 18h00 Organic market with stalls of different organic producers and winemakers. 10 Relais & Châteaux Chefs will take part in this unique event. A cooking demonstration of each Chef with a different organic ingredient. Chefs will follow one to the other with a 45 minutes presentation. 20h00 Award ceremony for recycled materials creation of the year. 20h10 Award ceremony for winners of sport competitions. Riva boat exposition. Meeting owners and the captains who will present and show the boats around. Note that this program might be sensible of changes and evolutions.